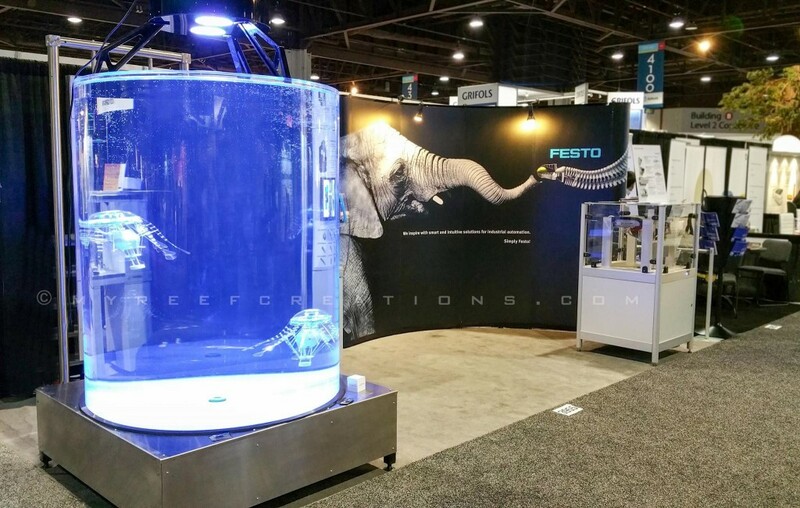 The team at Orphek LED lighting had the chance to work with My Reef Creations to provide lighting for a robotic jellyfish exhibit for Festo Robotics. Recently we had the opportunity to work with Raj and the team at My Reef Creations on a project involving a travelling display for the robotics company Festo. 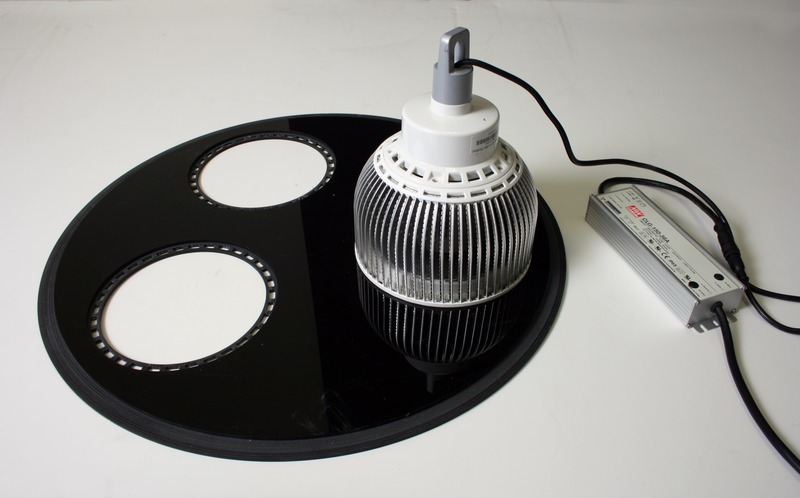 This project was designed to display their advanced technology and prowess in design of robotic methods. The MRC team obviously wanted an equally well designed lighting plan for the system that would mimic the natural environment and light the display beautifully without consuming too much energy or being overly complicated. The cylinder system is 65 inches high with a diameter of 53 inches. Comprising of 600 gallons, it’s lit with 2 units of the Orphek Atlantik Pendant WiFi. 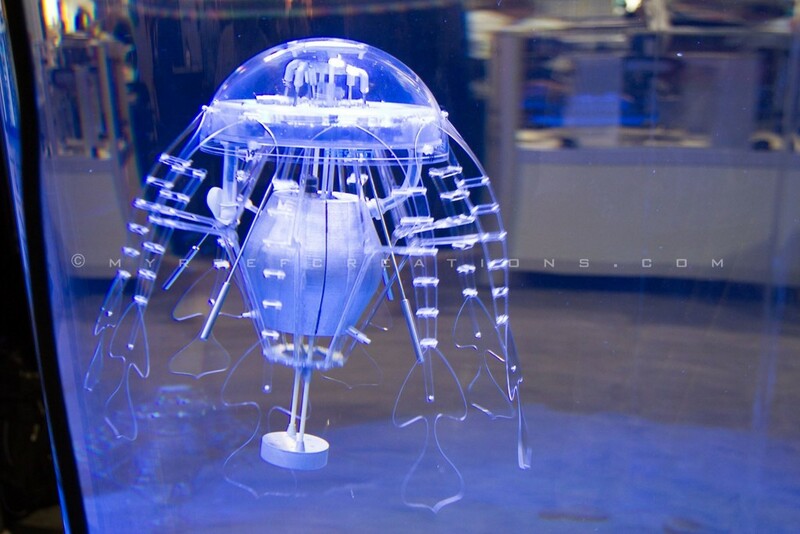 MRC fabricated the sleek looking mounting system and modeled it after their take on a robotic jellyfish. 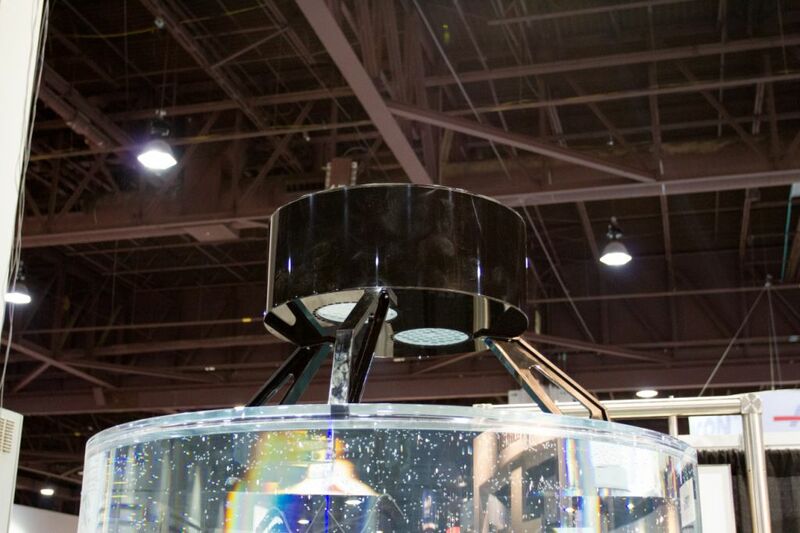 The tank rests on a CNC stainless steel stand and can be transported and setup quickly, allowing the clients to easily move the system from event to event. 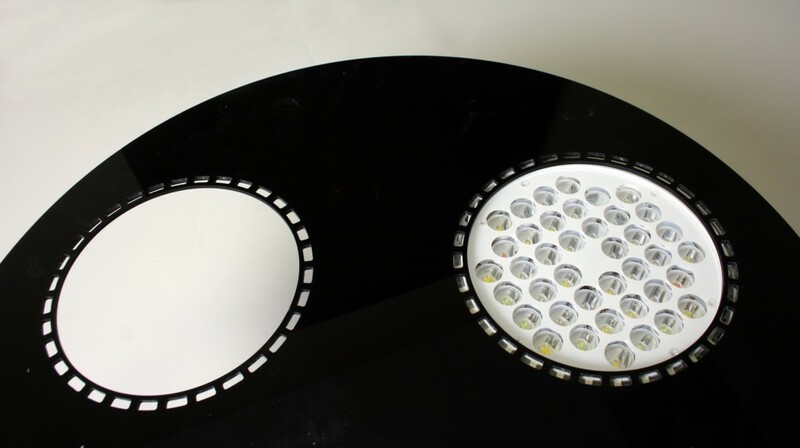 Utilizing the built in WiFi capabilities of the Atlantik, the lighting is able to be changed to give a different look to the display throughout the show by ramping channels up or down based upon the clients choice. From a brightly lit full sunlight reef look to a blue that just brings out the highlights on the Jellyfish, the Atlantik Pendants are able to put the finishing touch on what can only be described as one of the coolest things we’ve seen in a long time. 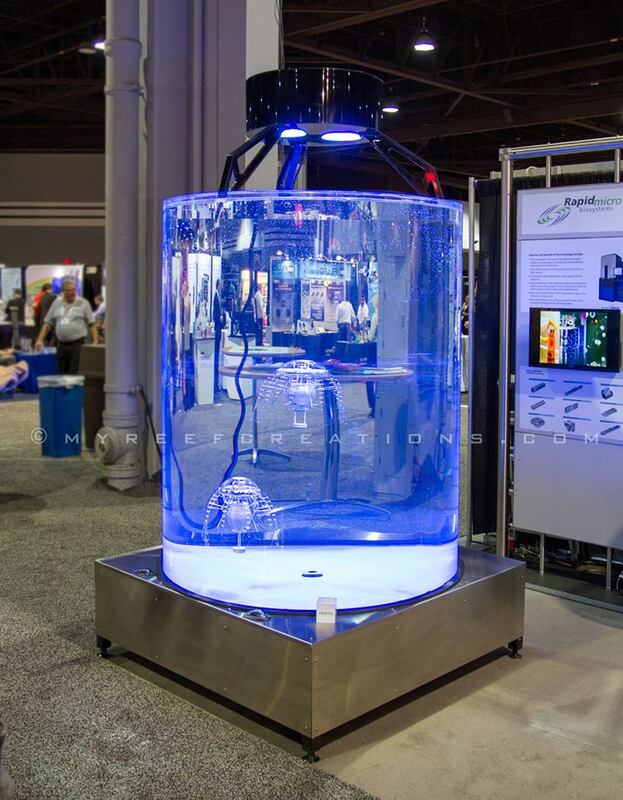 The system debuted recently at the AACC conference in Atlanta, Georgia and was the hit of the tradeshow floor with people literally mobbing the display to catch a glimpse and wonder at the high tech inner workings of the Jellies. If you want a high tech, well thought out aquarium and filtration system you need to go to My Reef Creations. The team there will take you from initial planning to completed systems with professionalism. 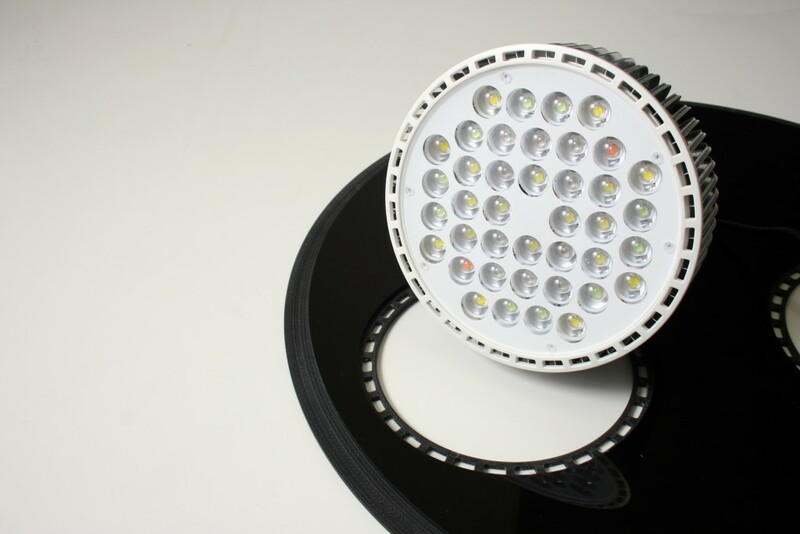 If you want the best in high tech LED lighting for your aquariums robotic or otherwise, the Orphek Atlantik series of lights have you covered. Orphek continues to deliver.